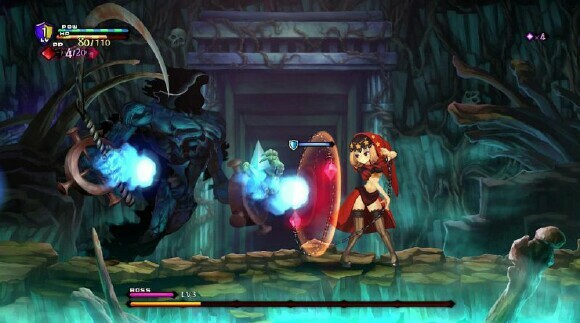 "Odin Sphere" was first released back in 2007 and met with an abundance of glowing reviews. It is the spiritual successor to the 1997 game "Princess Crown" and is considered one of the best game on the Playstation 2. Now, in 2016, Atlus wants to double down and have released "Odin Sphere: Leifthrasir", which is a high-def remake of the original. 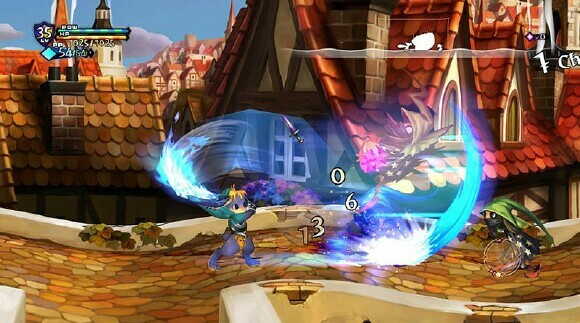 "Odin Sphere" follows the intertwining story of five characters, each with their own unique set of abilities and weaponry as they embark on different journeys to save the world from calamity. Gwendolyn is the daughter of the “Demon Lord” Odin and also a Valkyrie in his army who only wants the love, respect, and recognition of her father. Cornelius is a prince in the kingdom of Titania who gets turned into a Pooka (an anthropomorphic rabbit-like creature) and must figure out who turned him and why as well as uncover a dark family secret. Mercedes is a fairy and takes over the crown when her mother dies; in her rush for revenge, she learns that things aren’t always black and white and must learn how to be a great queen as well as a leader. Oswald, also known as The Shadow Knight, has been used as a weapon for most of his life and death follows him wherever he goes, all he wants is to be his own man and be with the woman he loves. Lastly, Velvet is the former princess of the city of Valentine and she must stop death and destruction from sweeping the world the same way that it did her city. 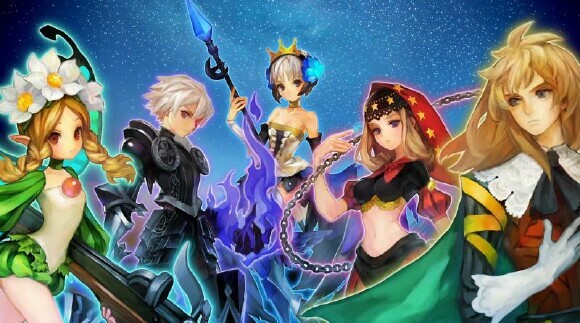 Odin Sphere’s plot is a beautiful mess of betrayal, secrets, revelations, and love; and all characters are connected in one way or another. Each of the five characters has seven chapters to go through, and each chapter has a set number of acts. It’s a nice way to advance the story, but if you’re not interested in the story you could skip all of the cutscenes and jump straight into fighting. Unfortunately, each chapter only has two acts of fighting. The main exploration and battle sequence and the boss battle. Everything else is story driven dialogue. Leifthrasir has easy-to-use combat controls, but the combat system itself has a massive amount of depth. Aside from attacking, jumping, and dodging; each character has a skill tree that can be built up by gaining phozons from fallen enemies. Skills range from passive abilities to active abilities that use one of two forms of a character's magic reserve. Passive skills tend to repeat from character to character with a few exceptions, but active abilities are all unique to their specific character. 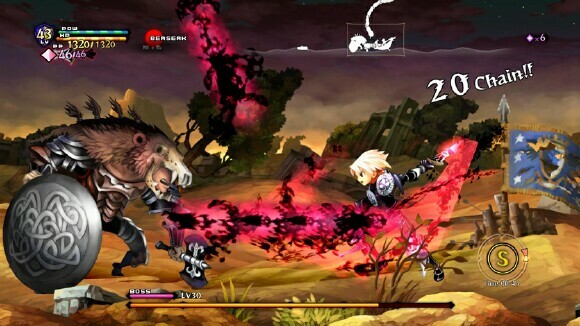 For example, The Shadow Knight can enter a berserk mode that allows him to move faster and deal more damage. He’s the only person with this power, but all characters have the skill to deal additional damage to enemies the longer they’re in a chain combo. This is only the tip of the iceberg, the battle system rating calculates a number of points that it takes into account. It seems that the best way to get an S-ranking is to keep your combo high and defeat opponents as soon as you can. 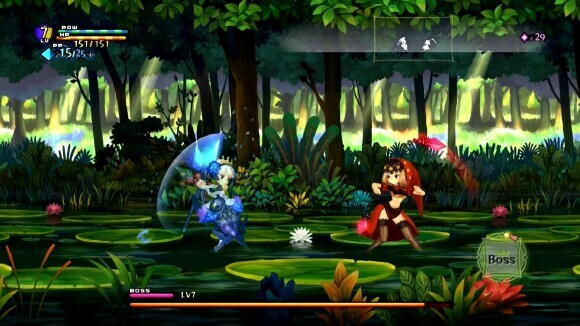 Aside from combat, Odin Sphere has a unique leveling system. You can gain experience through battles, but you can also gain experience from eating food. Food is found all over the world, from enemy drops and treasure chests and even holes in the floor. However, while you could just eat food at will, it’s best to save your food until you find a recipe. Recipes are hidden throughout the world and even given as rewards for clearing an area of the map. Recipes, obviously, combine food into a new form of food. Recipes sound trying at first, but they give you a massive experience bonus as opposed to eating food plainly. Odin Sphere: Leifthrasir for the Playstation 4 is a near perfect port from its original version. Near perfect because it adds a lot of features and fixes some of the PS2 issues. The first thing you’ll notice is that the game is in full 1080 and runs at a better framerate than the original. It is possible to push the game to its limits and have the framerate falter, but it takes a lot to make the game stagger. 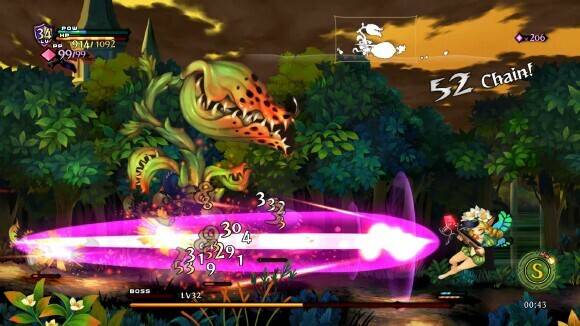 The hand-drawn art of Odin Sphere looks visually stunning in HD even after nine years. The best part of it all has to be the option to play Classic Mode. Classic mode lets users play the Odin Sphere the way it was available on the PS2, but with all the upgraded graphics and framerate that makes it standout as a masterpiece. If you are like me and never played the original Odin Sphere, then “Odin Sphere: Leifthrasir” is an excellent reason to check it out. 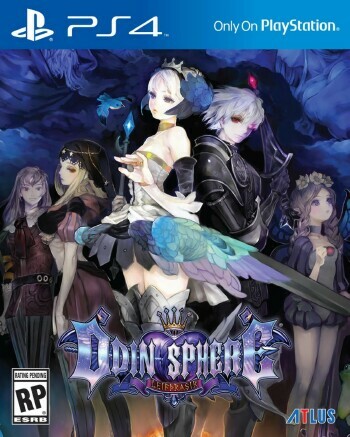 If you’re an Odin Sphere fan, they’ve got you covered as well. This is possibly one of the best HD remakes of this generation. 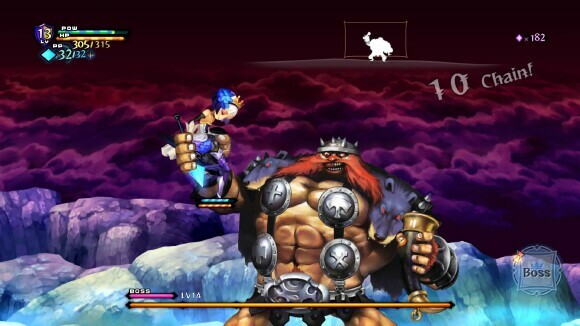 Vanillaware and Atlus have every reason to be proud of the product they produced two console generations ago and have released for a new generation now. Now if only I could get a Dragon’s Crown II. 5 TOV stars out of 5.